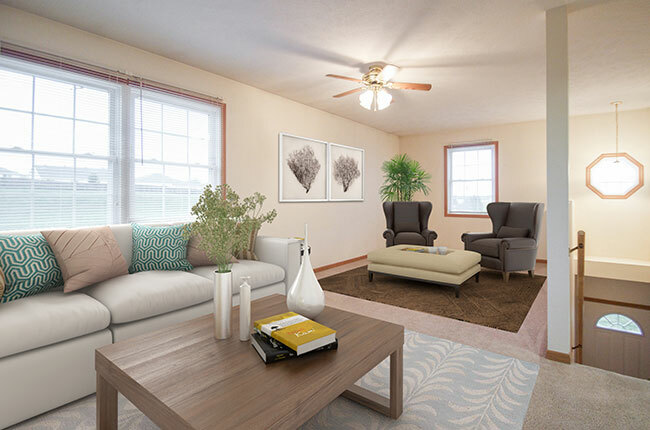 Fieldstone Place Apartments in Lincoln, Nebraska, is the ideal place to call home. Our 2 and 3-bedroom apartment homes feature spacious fully-equipped kitchens, wood-style flooring, and spacious walk-in closets. Our serene grounds will give you the relaxing lifestyle you deserve. We are happy to offer a children’s playground and outdoor picnic space for your enjoyment. Schedule your personal tour at Fieldstone Apartments today! Fieldstone Place Apartments is located between Cornhusker Highway and Superior Street—just one block west of 27th Street. Our community is mere minutes from Interstate 80 as well as Downtown Lincoln, in addition to being located close to the best restaurants, shopping, and entertainment venues in the city. Explore all we have to offer!